F1 2018 is the official videogame of the 2018 FIA FORMULA ONE WORLD CHAMPIONSHIP. 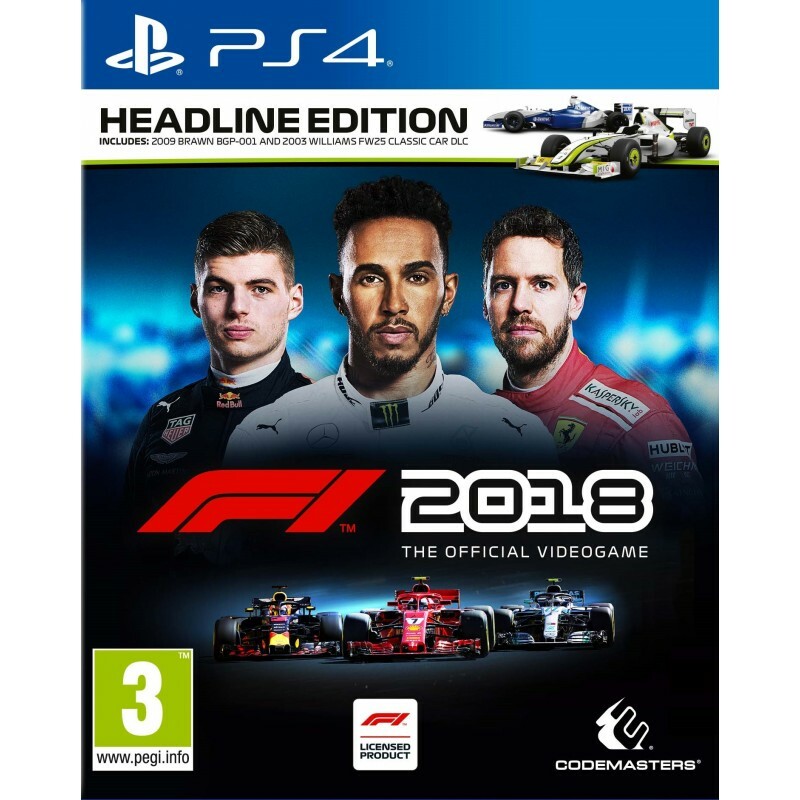 Become immersed in the world of Formula 1 more than ever before when F1 2018 releases worldwide on Friday 24th August 2018. Complete your iconic F1® car collection in F1 2018 with the F1 2018 ‘HEADLINE CONTENT DLC PACK’, which adds both the 2009 BRAWN BGP-001 and 2003 WILLIAMS FW25 classic cars to the game.